That is almost certainly incorrect and doesn't even come from a very reliable source, and I'm only posting about it because of the chance to reconsider what the prospects and requirements would be for a Docomo iPhone, since the rumor is that Docomo will carry the "iPhone 5s", if such a thing ever exists. Perhaps Steve Jobs held some grudge against NTT Docomo — it's not difficult to imagine how poorly any hypothetical, initial negotiations concerning the iPhone 3G would have gone and he's known to have been friendly with Softbank founder Masayoshi Son — that has contributed to the lack of a Docomo iPhone, but things are obviously different today. What has not changed is that Docomo puts junk on their phones, so the big question becomes whether Docomo will be content to offer a phone that lacks all it's crapware. 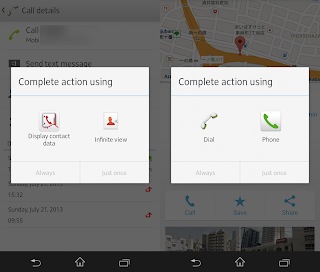 For example, Docomo installs their own contacts app, phone dialer, system UI, and more, which exist in parallel to the standard Android apps, or in this case, the Sony Xperia Skinned apps. 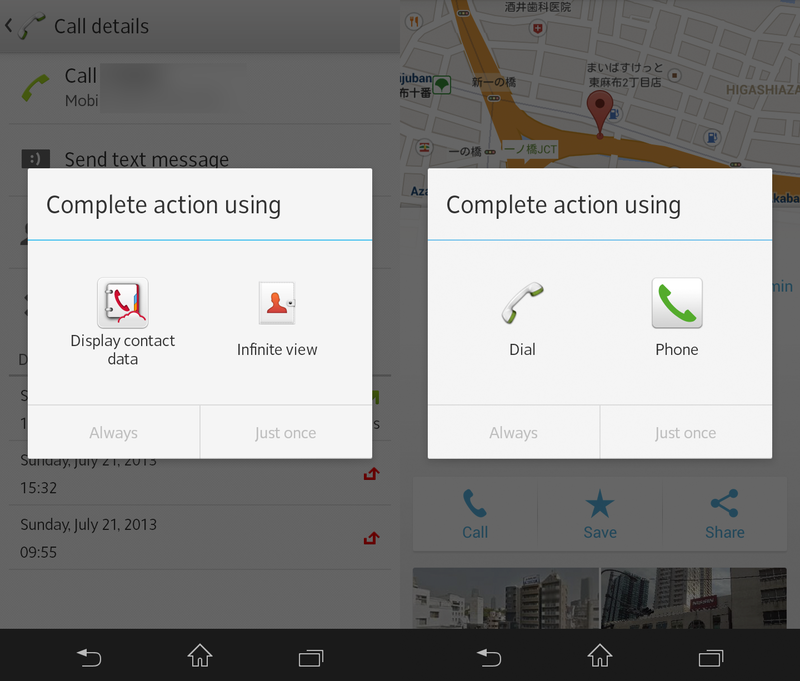 Android 4 and higher allows for disabling of preinstalled, system apps, unless they are mission critical, like a dialer or UI. This means the duplicate Docomo apps will always be staring at you - you can't make them just disappear. To make matters worse, depending on the choices you made when you first set up your phone, or if you accidentally reset certain defaults, you can end up with a situation where you are prompted to choose whether you want to complete that call with "dial" or "phone". Um… most people are going to be like WTF, I don't know, I just wanna make a phone call. This is most likely to happen after just purchasing the phone, when the user is still unfamiliar with it, adding to the confusing and perhaps causing buyer's remorse. Yeah, this is not happening on the iPhone. So what are the points in favor and against a Docomo iPhone? An Addendum. I should point out that the Docomo apps, while annoying, buggy, and generally undesirable, do some things better than the Sony apps, though these issues have long been fixed in the "pure" Android OS (AOSP). The problem seems to partially originate from Google's unwillingness to acknowledge that language and locale are indeed entirely separate. This is an issue for their mobile and desktop products, as anyone who dares to use a different language than that of the location associated with their IP address knows. And while I'm complaining, after spending years to create a code base that doesn't hose the battery on an Android phone when latitude location reporting is active, and spending what would appear seconds to toss all that code in the trash to move all locations services to the half-baked, "locations" tab of the G+ plus app, which often doesn't even (apparently) know how to use GPS to determine location, is to say the least, annoying. Very much so. 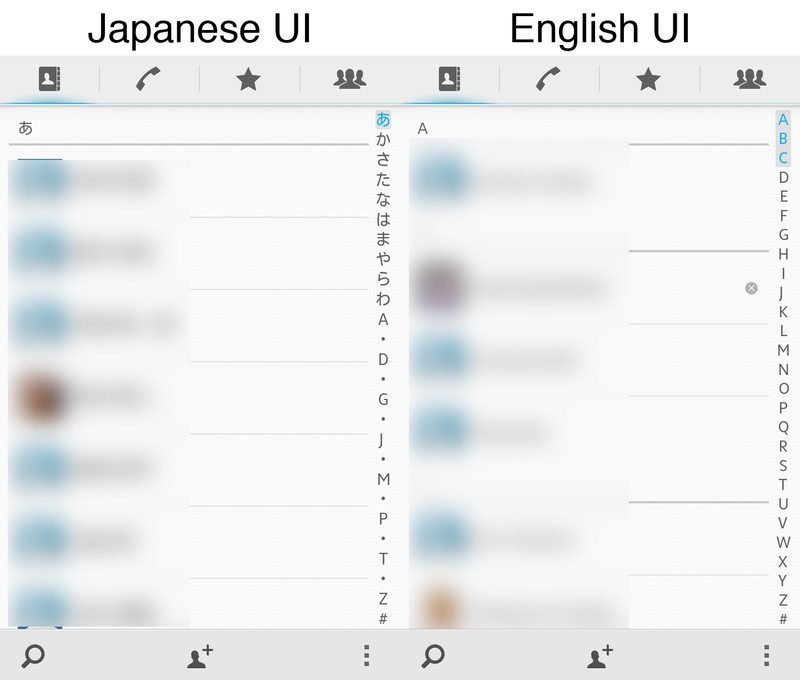 Back to the point at hand, when "language and locale" are not set to Japanese, Sony's contacts app sorts all the Japanese-language contacts under a single "symbol" heading (#). At least it orders them based on the phonetic spelling (furigana), so you can still systematically find people, but looking at the below screenshot will show you just how dumb this is. Of course if the language is set to Japanese, everything is properly organized. This was a problem with Android 1.6 Donut. It shouldn't be an issue now, and Docomo at least gets this right where Sony fails. The red line denotes the Japanese-language contacts, that are all sorted under "#", because the system language is set to English. On another note just spend half a day with Softbank support. My new and shiny Arrows 202F refuses to get incoming phone calls occasionally. The calls do not even get registered to the missed call log. I kind of tracked it down to happen only when in 4G which would implicate the phone is late to switch from 4G to 3G sometimes. The first person recommended booting the phone, then removing the SIM card and wiping it. The second figured out I can speak the language and forwarded me to the third who adviced me to setup the notification email when someone calls the answering service (the calls that get ignored will go to voice mail immediately). I also doubt the Docomo will ever resell the iPhone, but as they are losing market share, who knows? Still they probably get a much better profit repartition working with all the Android brands that are eager to place their handsets at Docomo. Anyway, with the disparition of the galapagos effect (even Sony is now doing a lot of international smartphones), we might get more chances to find alternative ROMs. One benefit for carriers of having their own phone apps is when people switch handsets, they see the exact same contact application and dialer application. Back in the good old days, each carrier's feature phones ran the same OS. I could pick up any AU phone and navigate to the proper settings, regardless of maker. All the issues with android and language rest squarely on Google. They decided to make single-language keyboards. They decided to cram the two wholly separate specifications of language and locale into a single entity. It's not going to happen. It's not about Steve Jobs vs. Tim Cook. Docomo will only carry a phone they can install their own apps on because these apps generate revenue through Docomo services (music, ringtones, whatever). Apple is NEVER going to agree to that, since that's precisely what they do. Apple will never allow a competing app store, music store, etc. on their device, so Docomo has no incentive to carry the iPhone. There is overlap, but not 100%. Docomo earns venue on apps like Nottv, ibodymo, and other stuff for which Apple currently has no offerings. The thing is, the iPhone lacks the necessary supporting tech.